Hi there! Welcome to my September Beauty Awards, aka my monthly favourites post. As always, I’ve chosen my top 3 products from all the poducts I’ve reviewed this month. And I’ve thrown in a few honourable mentions as well. Let’s start with the top 3! 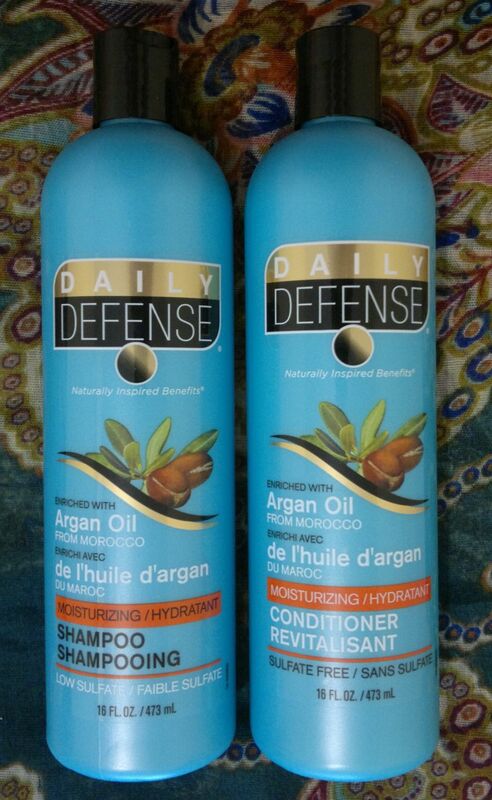 Daily Defense’s Argan Oil hair products are amazing. Just wow! I’ll buy them again, no doubt. 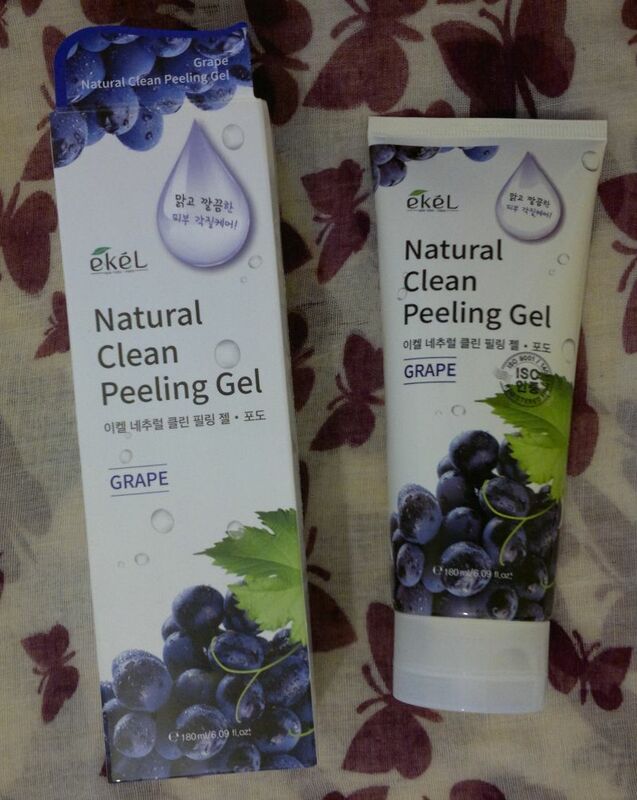 I love Ekél’s Grape Natural Clean Peeling Gel. I already bought 2 more Ekél products because I love this product so much. 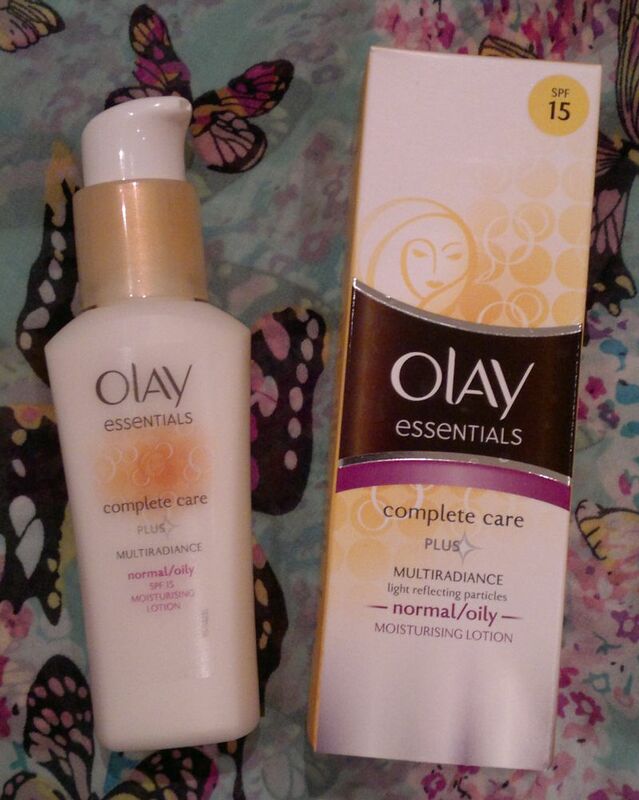 Olay’s Multiradiance Moisturising Lotion is simply wonderful. It makes my skin look and feel refreshed, and it smells like… a summer morning. Awesome stuff! Now onto the honourable mentions! I think J Lo’s Live Luxe fragrance is really nice. Garnier’s Intense 7 Days Ultra-Replenishing Lotion with Shea Butter is very good, and I’m sure it’ll serve me well this autumn and winter. And Boots’ Essentials Cucumber products were a fantastic surprise. If you’ve never tried Boots’ own brand cucumber products, you need to change that! Hi there! Today’s post is about 2 samples I received fairly recently – L ‘Oréal Revitalift Laser Renew Day & L’Oréal Revitalift Filler Renew. Let’s start with the Laser Renew sample! 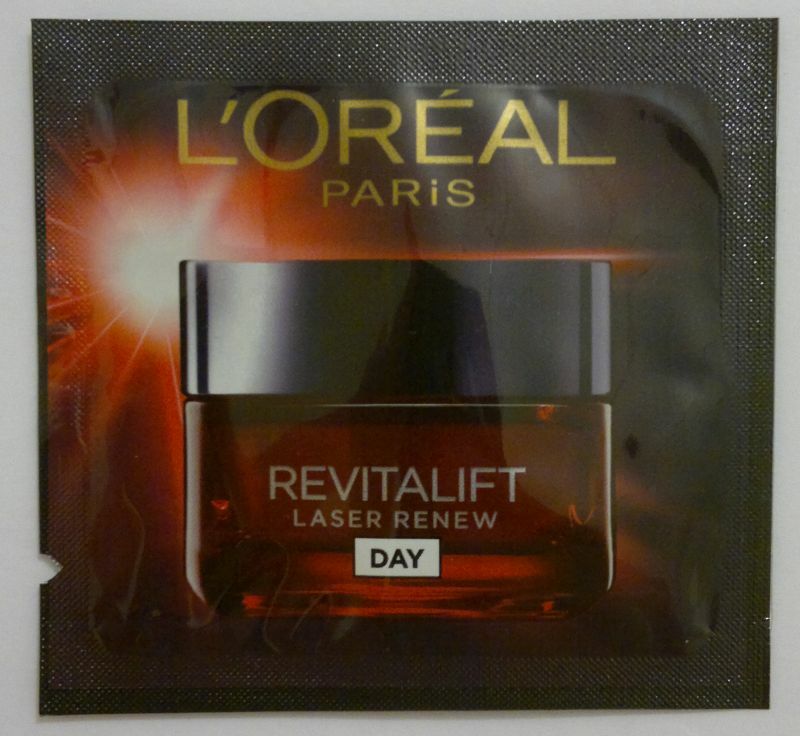 L ‘Oréal Revitalift Laser Renew Day contains hyaluronic acid and a chemical exfoliant (LHA), and it promises reduced wrinkles and smoother, firmer skin – after 4 weeks of use. Well, I had 1 sample, so I can only share my first impressions. Read on, and I’ll tell you more. The first thing I noticed about this face cream was its lovely texture. It felt silky, and it melted into the skin. Nice! I think this face cream would be suitable for normal to oily skin types. But I don’t think it’s good enough for dry skin. After a couple of hours I could feel that this cream just wasn’t moisturising enough. What else? I liked the subtle fragrance. However, I’m not happy that this face cream doesn’t contain sunscreen. All in all, I’m 100% sure I won’t be buying the full size. 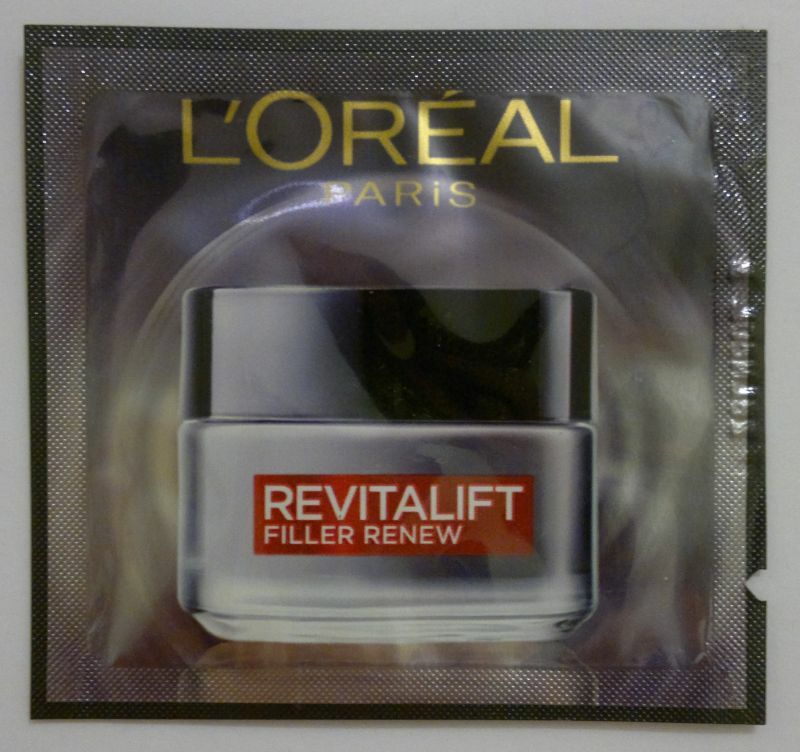 Sample number 2 is L’Oréal Revitalift Filler Renew Anti-Ageing Day Replumping Care (this is what it says on the back of the sachet). This product contains hyaluronic acid and fibroxyl plant extract, and it promises reduced wrinkles and plumper skin that bounces back. L’Oréal didn’t state how long it would take for results to be visible. When I opened the sachet, the first thing I noticed was a strong (and not very feminine) smell. It wasn’t really unpleasant, but I didn’t care for it at all. I also noticed that this cream was considerably thicker than the Laser Renew cream I tried the day before. I wouldn’t say the cream was waxy, but the texture felt quite awkward. I have to admit that I expected the cream to flake. However, it did nothing of the sort. It went on fine. Still… this cream wasn’t very moisturising, and it doesn’t contain sunscreen, so this is another product I won’t buy the full size of. In summary, this product is going in the bin! 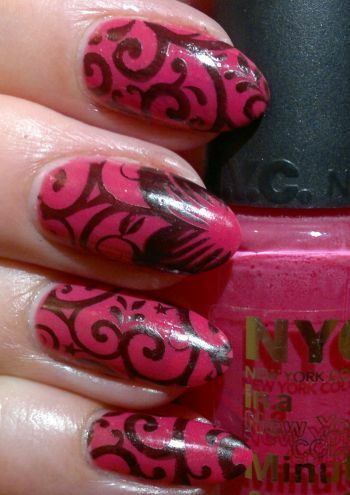 For this mani I painted my nails with NYC In A Minute 238 MoMa (2 coats). And I stamped with Pueen’s 65 plate (which is part of Pueen’s Stamping Buffet collection) and Rimmel 60 Seconds 820 Hot Black To Go. Hi there! 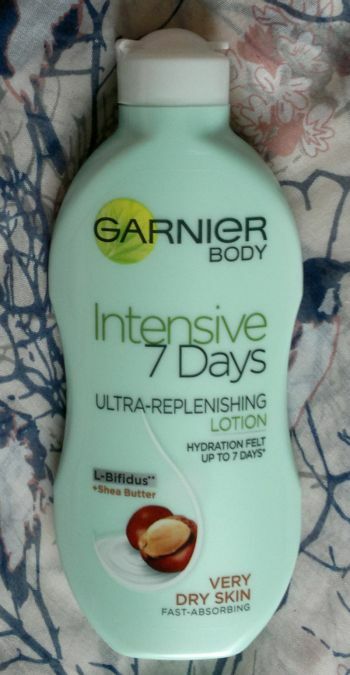 Today’s post is about Garnier’s Intensive 7 Days Ultra-Replenishing Lotion With Shea Butter. This body lotion is aimed at people with very dry skin, and it promises hydration that can be felt for up to 7 days after you’ve stopped using the body lotion. Sounds cool. So how’s the product? Well, I think this body lotion is great. It’s very rich, so it can feel sticky on my skin. However, the sticky feeling doesn’t last very long, so I have no reason to complain. 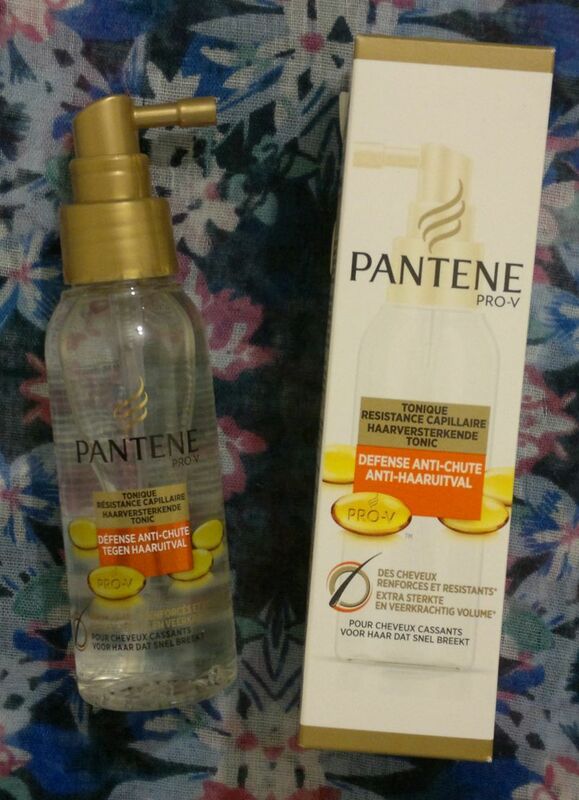 I also think that this body lotion is very hydrating. 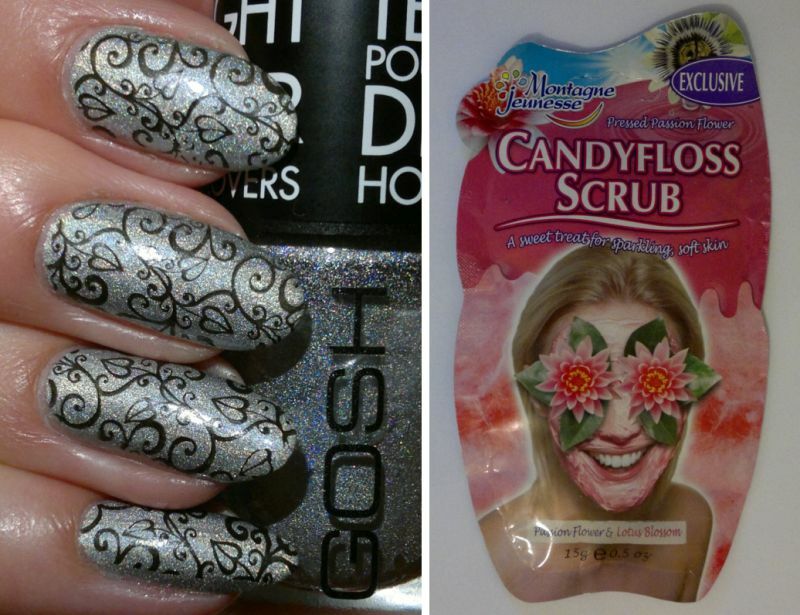 It’s plain awesome for dry skin. It even works on elbows. Fantastic stuff! And there’s one more thing… this body lotion smells wonderful. The shea butter fragrance is sweet and cuddly. I love it! Hi there! Happy Sunday! I’s the last day of the week, so it’s time for my weekly blog recap. So let me tell you which posts I’ve published this week. 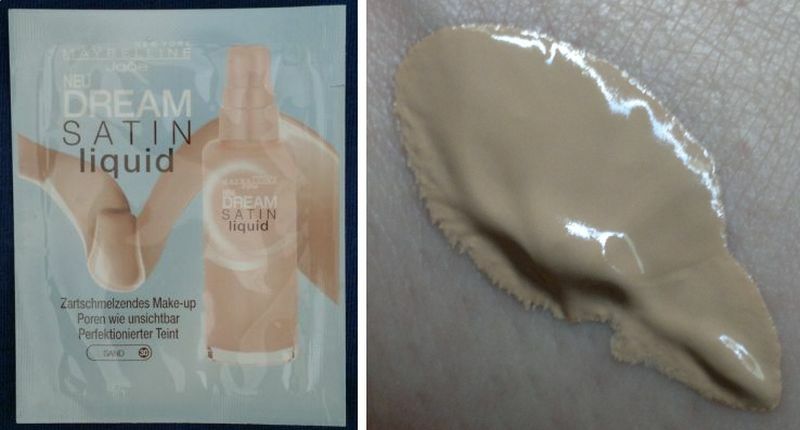 On Monday I reviewed Maybelline’s Dream Satin Liquid Foundation. Click here to read the post. On Tuesday I reviewed an Olay moisturiser. Click here to read the post. Wednesday’s post was about a mani I did for the A-Z Nail Art Challenge. Click here to read the post. And on Thursday I reviewed a Montagne Jeunesse face mask. Click here to read the post. Friday’s post was about 2 Superdrug bath products. Click here to read the post. Hi there! Today’s post is about 2 Superdrug bath creams that I’ve had for quite some time – Superdrug Nourishing Crème Bath & Moisturising Crème Bath. These 500ml bath creams are £1.39 each, but they were on special, so I bought 2 for the price of 1. Now onto the reviews! Superdrug Nourishing Crème Bath with shea extract and the fragrance of vanilla and almond is really nice. Whilst the bath cream isn’t nourishing, I’m happy that it isn’t drying. And the fragrance is sweet and cuddly. Good job, Superdrug! Superdrug Moisturising Crème Bath with rose extract and the fragrance of shea butter and ginger is just as nice. Again, I don’t think this product is moisturising, but it doesn’t dry out my skin, so I can’t complain. The fragrance is lovely too. It’s a sweet rose fragrance. A candied rose, if that makes sense. Anyhoo… Superdrug Nourishing Crème Bath & Moisturising Crème Bath are certified cruelty-free (they carry the Leaping Bunny logo) and suitable for vegans. Awesome stuff!